UCI’s mascot, The Anteater, was burned yesterday at the homecoming bonfire and this game will be the ultimate show when the UCR men’s basketball team will take the win over the UCI Anteaters. I went last year, and the game will be packed with energy. It’s amazing how much school spirit our school has! It is FREE for all students and $10 for everyone else. The gates will open at 4PM but the game will start at 5PM. 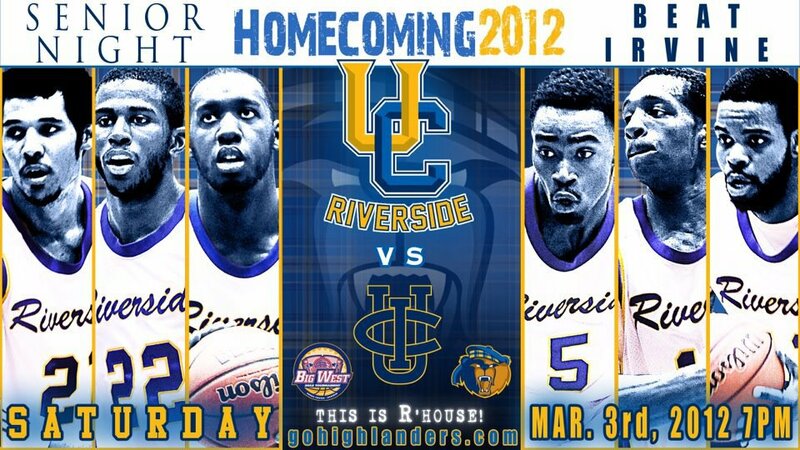 (Disregard the time on the flyer) Come out and support UC Riverside’s men’s basketball team! !